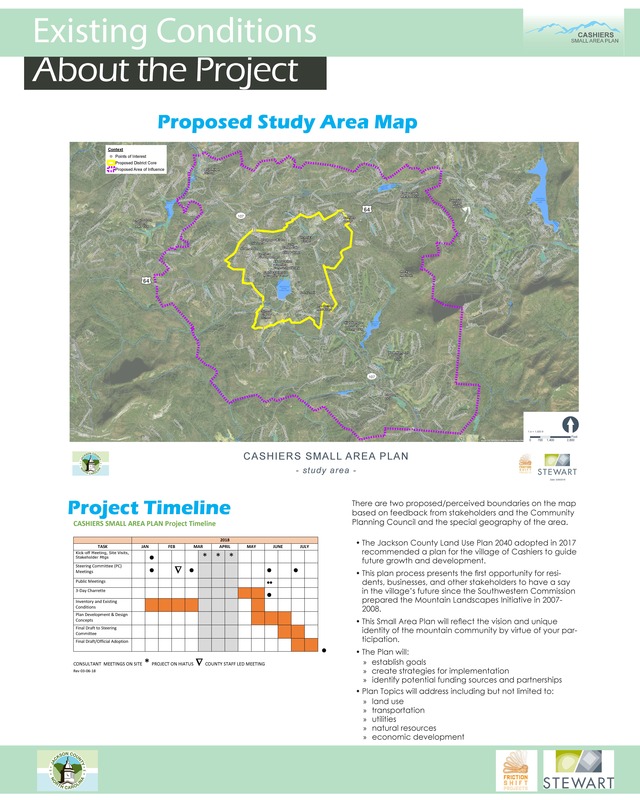 The Village of Cashiers is Preparing a Small Area Plan! 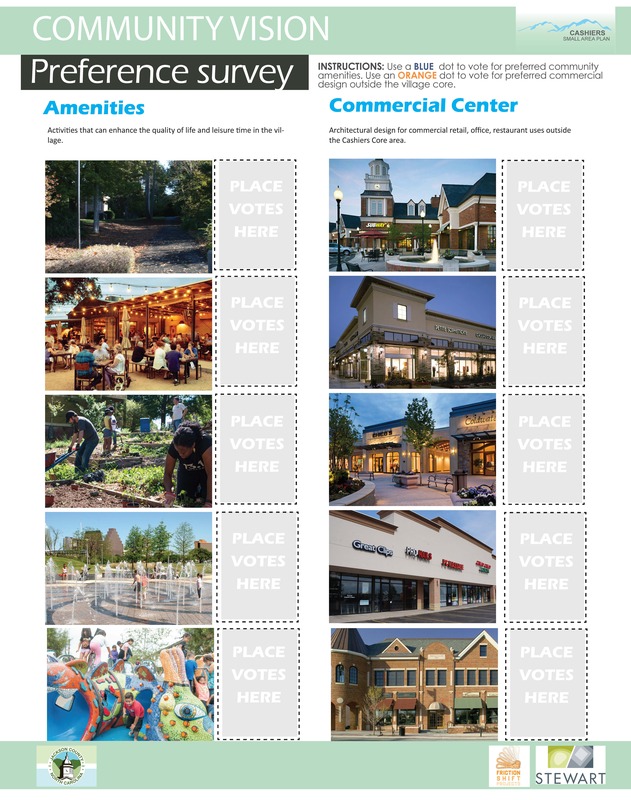 Jackson County is working with the Village of Cashiers to develop a Small Area Plan for the Cashiers Commercial Development Districts and surrounding area. 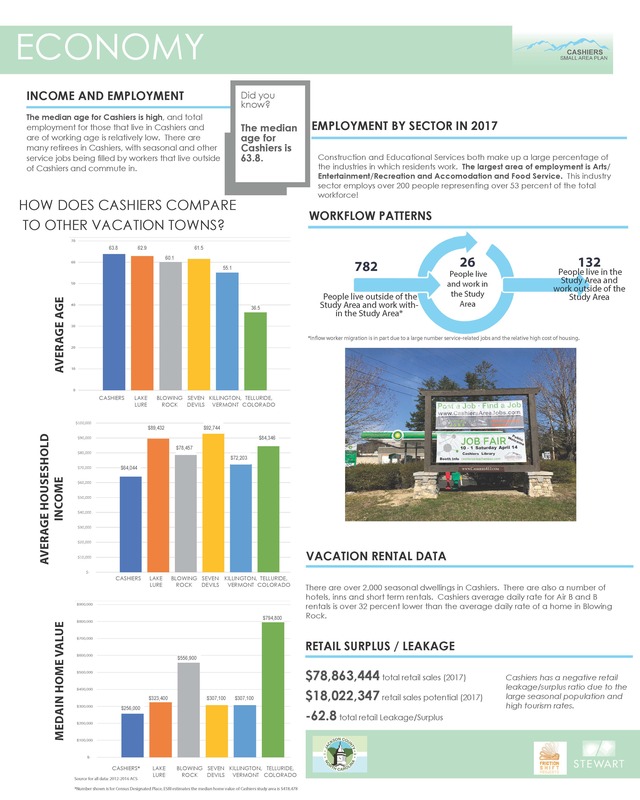 The Jackson County Land Use Plan 2040 adopted in 2017 recommended that Cashiers prepare a plan that would guide future growth and development. 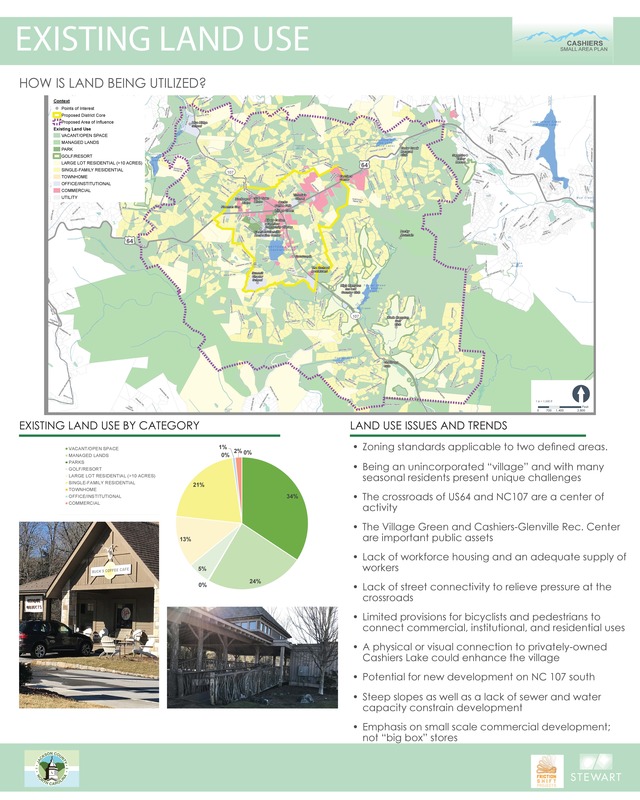 This project presents the first opportunity for residents, businesses, and other stakeholders to have a say in the Village’s future since the Southwestern Commission prepared the Mountain Landscapes Initiative in 2007-2008. 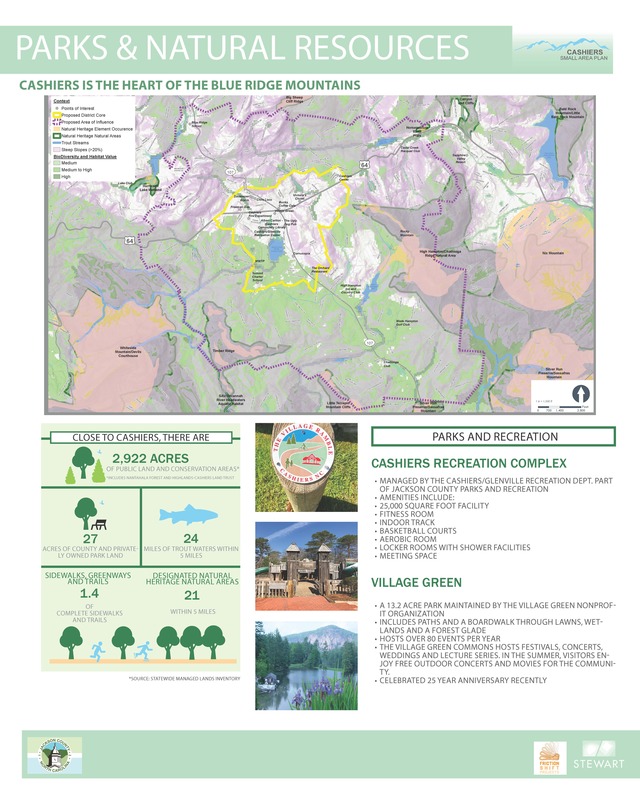 This Small Area Plan, with participation by the community, will reflect the vision and unique identity of the mountain community. 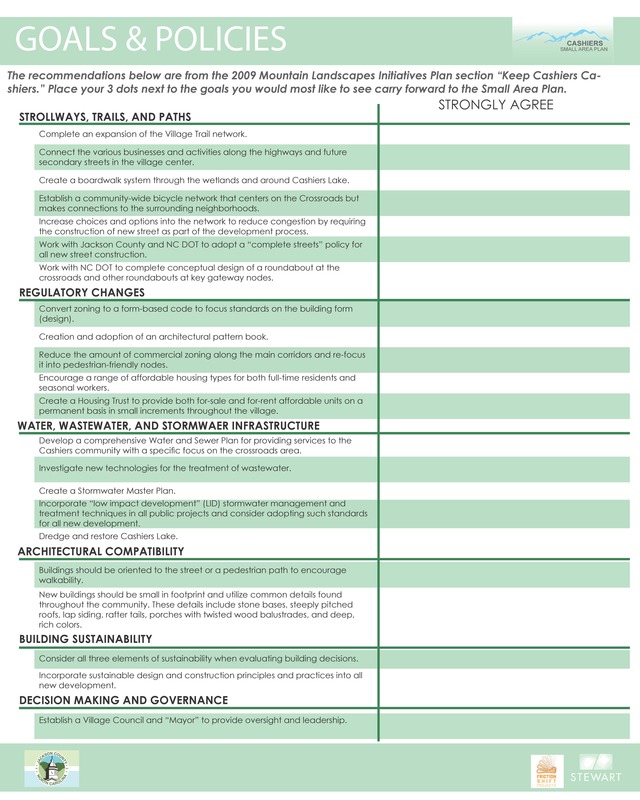 The Plan will establish goals and create strategies relevant to land use, transportation, utilities, natural resources, economic development, and more. Planning Council Meetings – The Cashiers Planning Council is the steering committee for the project and are tasked with assisting the County in development of the Plan. The meetings are open to the public. The Planning Council meets on the fourth Monday of every month at the Cashiers Glenville Recreation Center at 5:00 p.m.
Multiday Charrette/Design Workshop - There will be a multiday public workshop held in Cashiers in mid-spring. The open house style studio and associated meetings will have interactive exercises and plenty of opportunity for the public to provide input. 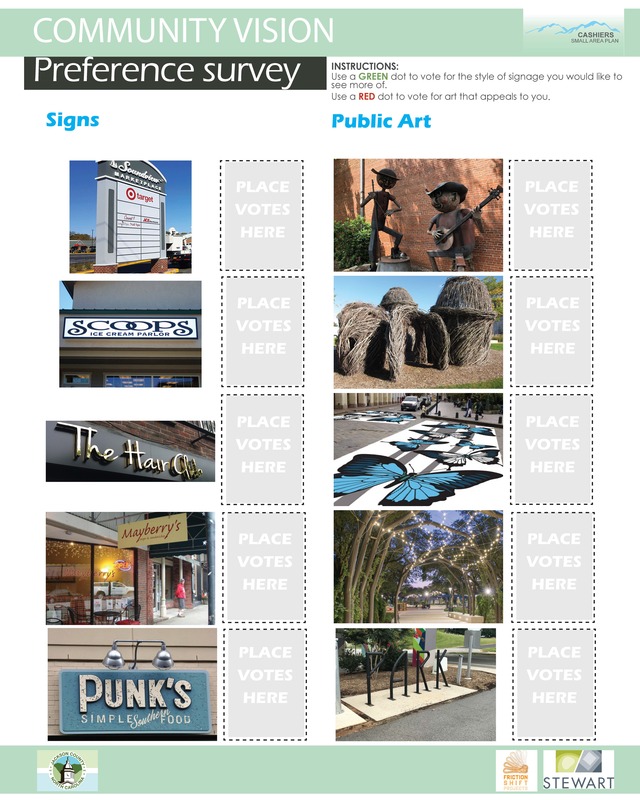 Online – Stay up to date with the Small Area Plan on this page https://www.planning.jacksonnc.org/cashiers-small-area-plan and on the Jackson County Planning Department’s Facebook page: https://www.facebook.com/JacksonCountyNCPlanningDepartment Here you will find upcoming public meetings, a survey, relevant articles of interest, and more! 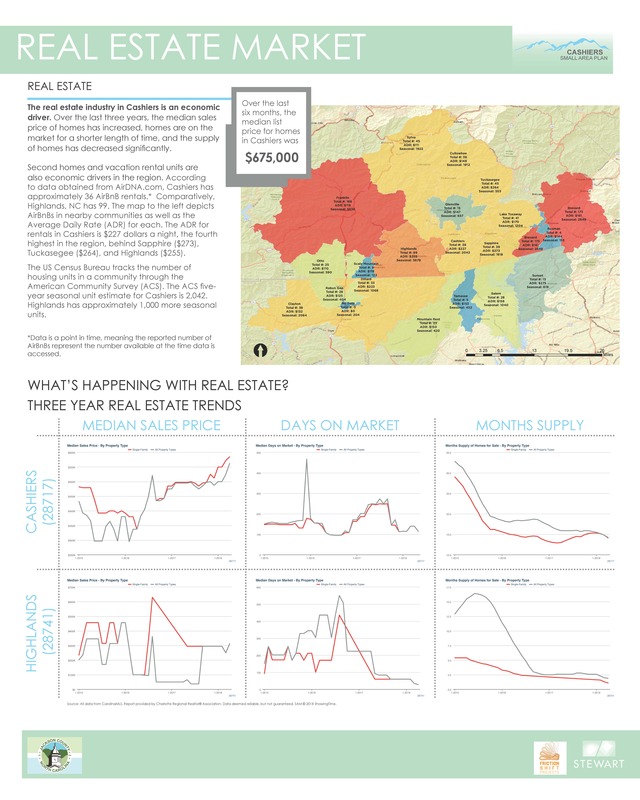 Email/Call Us – Caroline Edmonds, Jackson County Planner, carolineedmonds@jacksonnc.org 828.631.2283 or Jackie Turner, Project Manager, Stewart, jturner@stewartinc.com 919.866.4719.